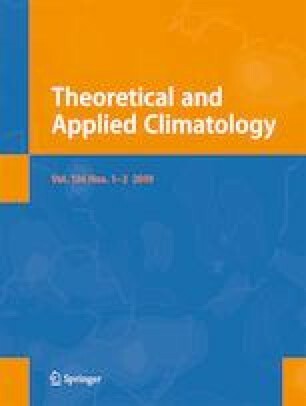 This study compares the interdecadal variations in tropical cyclone (TC) activities over the western North Pacific (WNP) basin during the peak season (July–September) and late season (October–December) of 1955–2014 and explores the possible physical mechanisms behind the variations. Both the peak- and late-season tropical storm (TS) days show distinct interdecadal variations, while the late-season TS days lead the peak-season TS days by approximately 4 years on an interdecadal time scale. The late-season TC activity is related to the east-west sea surface temperature (SST) gradient across the equatorial Pacific. The westerly winds induced by the SST gradient can reduce the vertical wind shear and increase the low-level vorticity, which favors TC genesis over the TC genesis region. The peak-season TC activity appears to relate to the SST gradient between the Indian Ocean and the Central Pacific. The westerly wind induced by the SST gradient can reduce the vertical wind shear and increase the mid-level relative humidity, thereby enhancing the TC activity. The full picture of the interdecadal variation in the WNP TC activity during the peak and late seasons revealed in this study provides a new perspective on the seasonal TC forecasts and future projections. The online version of this article ( https://doi.org/10.1007/s00704-018-2465-x) contains supplementary material, which is available to authorized users. We thank Prof. Wang Bin for helpful discussions. We acknowledge the use of the following data: JTWC best track, ERA-20c, and HadISST1. This work is supported by funds from the National Natural Science Foundation of China (Grant No. 41605037) and China Postdoctoral Science Foundation (Grant No. 2015 M572079).